My painting, “East-West Development,” is included in the traveling show, California Dreaming: An International Portrait of Southern California. 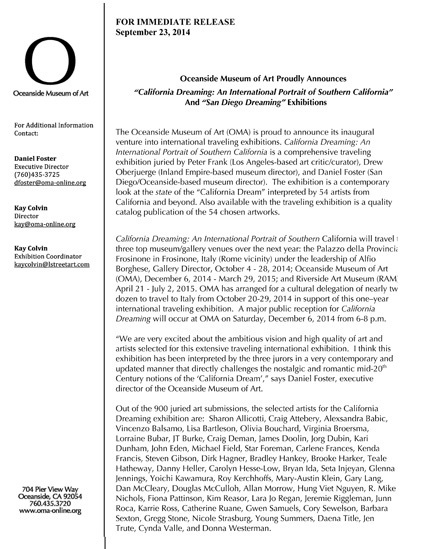 The show opens at the second of the three venues, the Oceanside Museum of Art, on Saturday, December 6, 2014 and will run through March 29, 2015. There is a public reception from 6 – 8 pm. Juried by Peter Frank, Drew Oberjuerge, Daniel Foster, and Alfio Borghese, the first of the 3 venues was the Palazzo della Provincia di Frosinone in Frosinone, Italy. 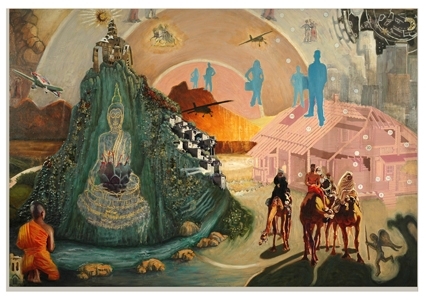 And, last but not least, the show will be on exhibit at the Riverside Art Museum, Riverside, CA; April 21 – July 5, 2015. This entry was posted in Show on November 28, 2014 by Cory.